After hosting last years Battle the world around Eva Nazemson has been spinning even faster. Continuing to host her television show, modelling and hosting many other events Eva is happy to be back for this years Battle. After this a quick road to success Eva has continued her work within TV and proved to many, that she is here to stay. Starring in Full Pott, Hål i väggen, Extra Extra, Tyra Banks, Semester Svenskar, Wipe Out and now Singing Bee Celebrity and QuizzO. Because it wasn't the puke itself that made the head lines but Eva's ability to handle it and continue the broadcast and that is something that is characterizing for Eva's success with Live TV; quick, witty and very charming. Our favourite pole:er and one of the most personal and dedicated pole and dance instructors always gives a different and exciting experience. She is not the typical dance girl, she is known for her tough attitude and physical classes. Kyra has on her own hand brought strip training to a new level. Growing up in Phoenix Kyra first moved to LA and then to NY where she developed the pole dance program for Crunch. Now a part owner for the well known studio Body & Pole, Kyra has participated and choreographed everything from musicvideos, movies and TV to Hugh Hefner parties. We are proud and happy to have Kyra as part of the judges also in 2011. After a complete certification in Las Vegas with Fawnia Mondey-Dietrich, she opens the 1st studio in Germany entirely dedicated to Poles. Cologne Pole Fitness combines a lot of different dance styles and fitness, all of them using a pole as a dance partner. In september she was part of the jury in the French Championships in Paris. The current European Champion, from the Netherlands we proudly present our 3rd judge! Hanka has been a competitive gymnast for over 14 years but in 2006 she found pole dancing and have been addicted since then. She loves the fact that she could use all her gymnastics skills in a completely new way, and also the fact that nobody is looking for mistakes (which is the case in gymnastics). The audience simply wants to be entertained! Hanka always tries to combine dance, tricks, clothes and props with the music into a complete act, also something she looks for in competitors. She is currently teaching at the University Sport Centre in her hometown Nijmegen and is thrilled to be coming to Stockholm in january! Simona Nocco is Fitness Manager and President of FIPD Italian Pole Dance Federation. 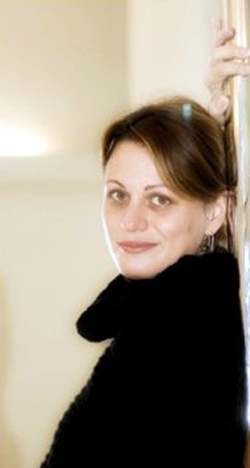 She was a TVs Producer, Project manager and Senior Editor for Italians TV station as Sky, La7, Canale 5. Many years ago she fell in love with ballet, aerial arts and naturally pole dance. In 2008 she opened Poledancexfit a pole dancing school in Rome. She has contributed for a significant increase of Pole Dance in Italy. In 2009 she founded the Italian pole dance federation. In June 2010 she organised the 1st Italian Pole Dance Championship. In october 2010 was a preliminary judge in World Pole Sport Fitness Zurich 2010, Official World Pole Championships. Now she is happy to be one of the judges for the North European Championships! One of the original members of the famous Swedish dance group Bounce since1997. Bounce performed in april 2010 in Globen with their final show and had 55 000 in the audience. 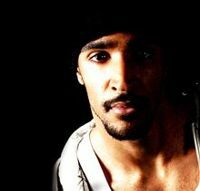 After finishing the Royal Swedish Ballet School, Joe has made a name for himself participation in TV dance shows, Ricky Martin live shows, MTV music awards, numerous musicals and not the least all bounce shows around the world. Now a popular teacher, his classes are filled with cool choreography to hot music and will leave no one unsatisfied. We are proud to welcome an extremly knowledgeble teacher, dancer and judge.